The term "radiophobia" is also sometimes used in the arguments against proponents of the conservative LNT concept (Linear no-threshold response model for ionizing radiation) of radiation security proposed by the U.S. National Council on Radiation Protection and Measurements (NCRP) in 1949. The "no-threshold" position effectively assumes, from data extrapolated from the atomic bombings on Hiroshima and Nagasaki, that even negligible doses of radiation increase ones risk of cancer linearly as the exposure increases from a value of 0 up to high dose rates. 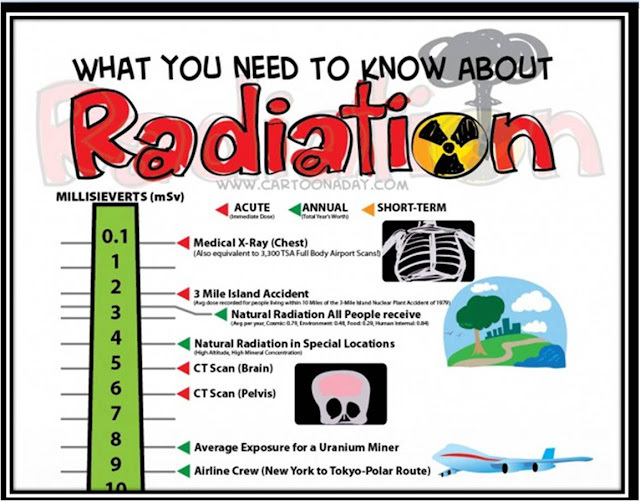 radioactive all increase ones chance of cancer. Moreover, the lack of strong evidence supporting the LNT model, a model created from extrapolation from atomic bomb exposure, and not hard experimental evidence at low doses, has made the model controversial. As no irrefutable link between radiation induced negative health effects from low doses, in both human and other mammal exposure experiments, has been found. On the contrary, many very low dose radiation exposure experiments find positive (hormetic) health effects at low doses of radiation, therefore the conservative LNT model when applied to low dose exposure remains controversial within the scientific community.